Art meets function with this distinctive collector’s dreidel. 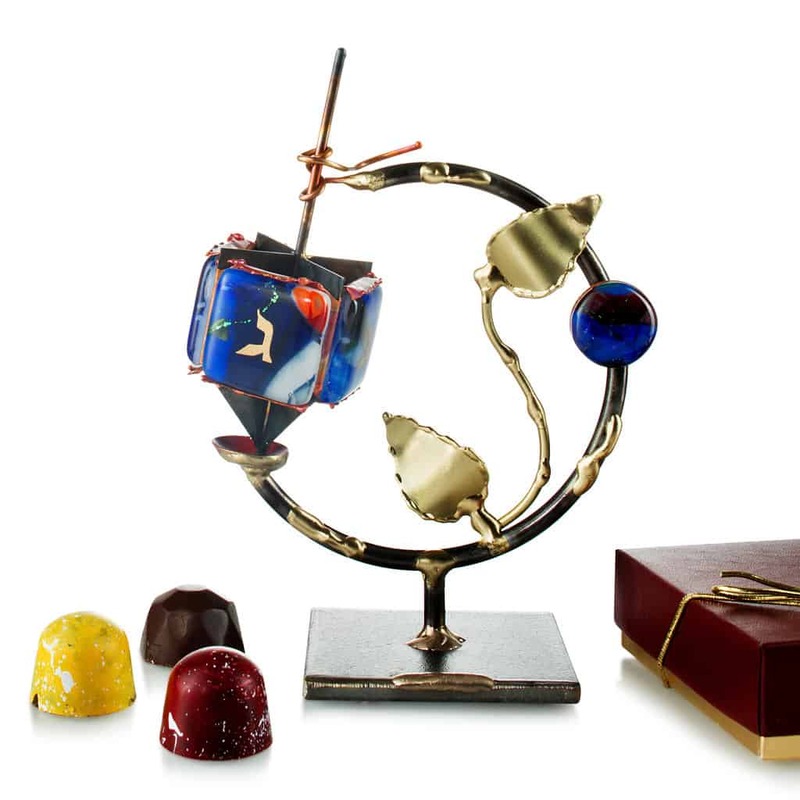 Made of sculpted metal and fused glass, it spins on its base or can be used on its own. Includes a gift box of elegant chocolate truffles. Each set is hand made in the USA by renowned artist, Gary Rosenthal.